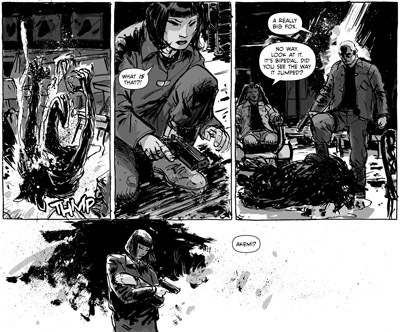 My blogging buddy Michael May writes a comic, and just like his Adventureblog, it's chock-full of cool. Kill All Monsters is a title that will sound familiar, and it should. It's a riff on Destroy All Monsters, one of the funnest Godzilla movies ever. Kill All Monsters deserves the comparison. In the 1950s, humanity created monsters of all sorts, and in the world of KAM, not just in B-movies. Today, a small group of mech pilots use giant robots to fight the bigger monsters across post-apocalyptic Earth. 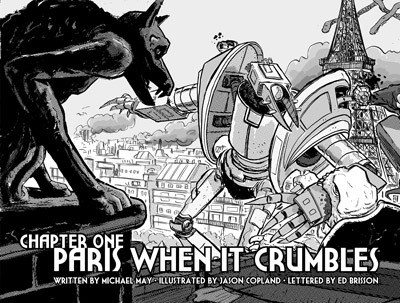 May and artist Jason Copland put the action at the forefront and mix things up by having smaller monsters show up when their heroes are forced to climb down from their mechs. Theoretically, there's no limit to the kind of monster they can use. KAM scores extra points by giving us a diverse cast right from the get-go. This isn't an Independence Day scenario where the world waits for the USA to come and save their bacon. Possibly, the pilots' nationalities are based on which countries produced the most monster movies, but many minorities are well represented. If mainstream comics handled this issue better, I probably wouldn't be saying anything, but they don't, so I feel like I have to give KAM a gold star for doing what everyone should be doing. They even introduce a giant robot A.I. the humans don't quite trust, so the machine demographic is represented too. Speaking of robots, how cool is the Deathstork? Yes, there's a good deal of humor in the book, but it's amusing in a F***YEAH! kind of way. 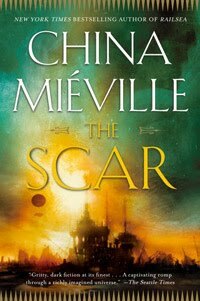 I don't want to spoil anything - and there are a LOT of twists and turns I COULD spoil - but let's just say that no historical monument is safe in the war against giant monsters. The colored cover is so cool, I'd love to see KAM entirely in color some day, but Copland gives his black and white art shades of zip-a-tone grays that give his panels depth and definition. The material (robots) might have called for very technical drawings, but Copland's work has a sketchiness to it that trades technical accuracy for energy, which I think is really the way to go. His fight choreography is fun and exciting, and when we have to leave the mechs behind, his characters are distinctive and expressive. 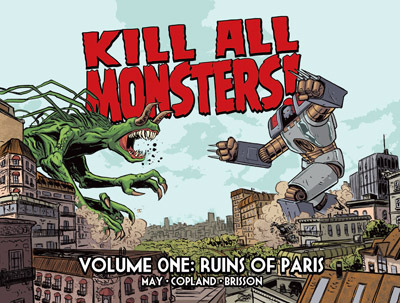 Volume 1 of Kill All Monsters, subtitled Ruins of Paris, has already passed and doubled its goal on Kickstarter, but pledging will remain open until May 10th and the more money accumulated, the higher the print run will be. The book is of course available digitally as well. Give them your support or find out more by clicking this link. In case it wasn't obvious: RECOMMENDED. Forgotten Villains: Who's Mr. Poseidon? Forgotten Villains: Who's the Faceless Hunter?